I have two free pumpkin printables to share with you today. I made these printables for my art students to use when they completed their art projects we have been working on this week. 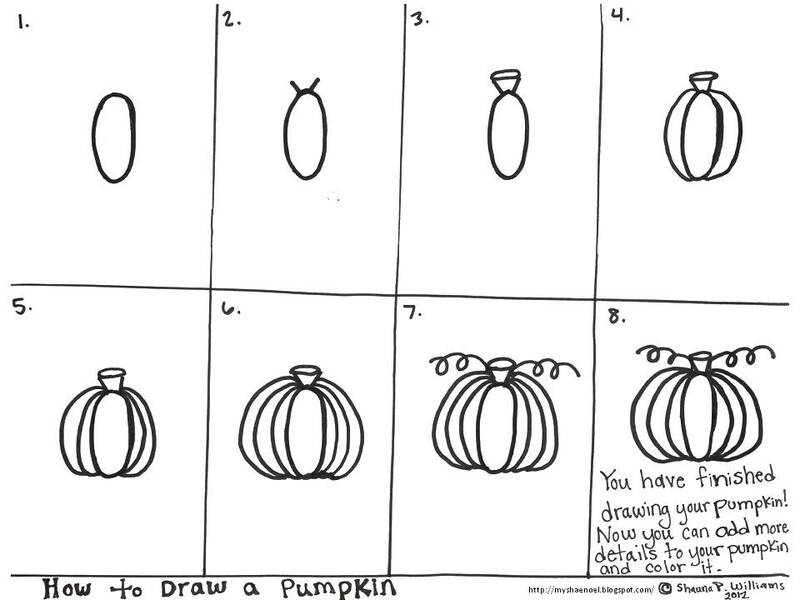 The first printable is a "How to Draw a Pumpkin" tutorial. I placed this printable and some blank paper out on a table for my students and they had so much fun drawing their own pumpkins. Some of my students got really creative and added Jack-O'-Lantern faces to their pumpkins, while others drew different types of lines (we have been learning all about lines in art the last couple of weeks) all over their pumpkins using different colored crayons and colored pencils. Unfortunately, I didn't take any pictures of the finished pumpkins before the students took them home. 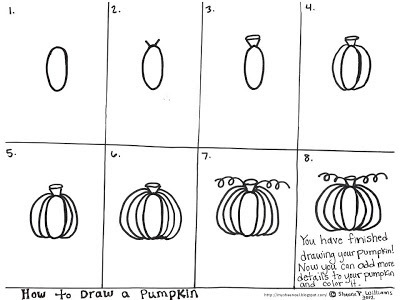 CLICK HERE for your free "How to Draw a Pumpkin" tutorial. 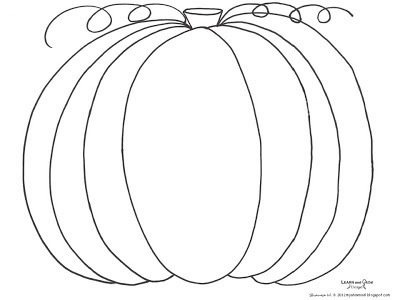 The second free pumpkin printable today is a simple pumpkin coloring page that was drawn in the same style as I drew on the tutorial page above. This pumpkin could be used for a lot of creative art projects. 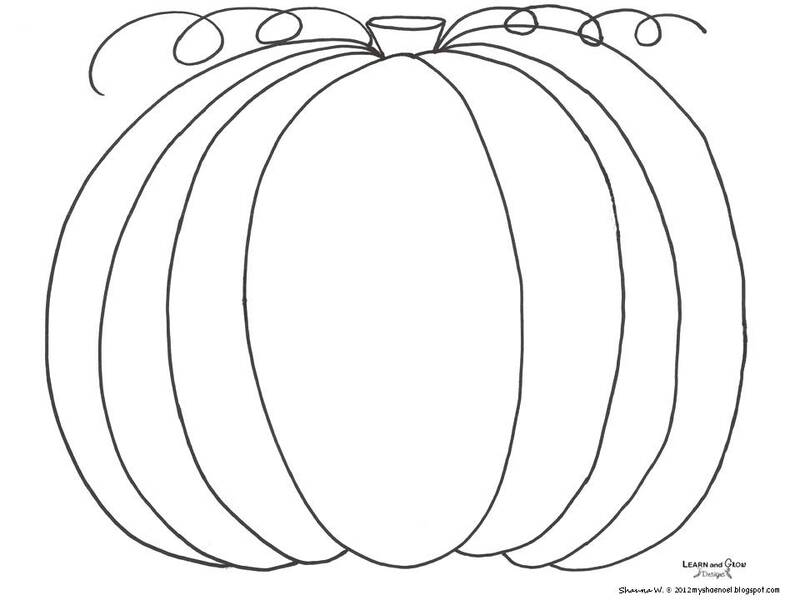 CLICK HERE for your free "Pumpkin Coloring Page". Please remember that my free printables are for personal or classroom use only. Printables cannot be shared, altered, or resold. Please direct friends, coworkers, family, etc. to my blog for their own wonderful and free copies. I would love to know who you plan on using these printables with. Also, I think I am going to switch over sharing my printables with you by using Dropbox, instead of Google Docs, so I would love your feedback or to know how the download process went for you.